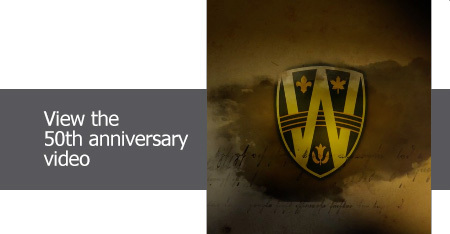 By 1919, Assumption became one of?the largest colleges associated with the University of Western Ontario. Enrolment reached record heights in the fall of 2003 with the elimination of OAC, meaning both OAC and Grade 12 students converged on Ontario campuses in a double cohort. In response, then-President?Ross Paul, who joined the university in 1998, invested more than $50 million in?the new Alumni Hall student residence, the Anthony P. Toldo Health Education Centre, the Jackman Dramatic Art Centre, and classroom and lab upgrades. Among the first official duties of current President Alan Wildeman, who took office in July 2008, was the?formal opening of?the Medical Education Building. An inaugural class of medical students began their classes in the state-of-the-art facility in the fall of 2008 and graduated as the “Charter Class” in May of 2012. 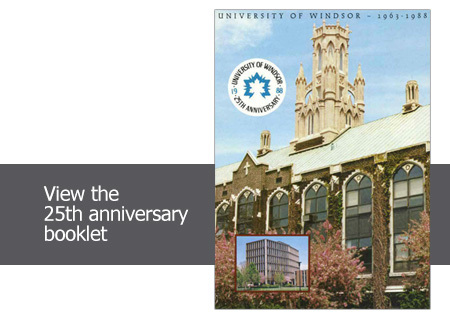 In May 2011, the University announced its plans to expand the campus into Windsor’s downtown core, moving into three historic buildings.? The City of Windsor donated the Armouries building, and gave an additional $10 million for refurbishment, in addition to a provincial investment of $15 million, which will transform the facility into multi-disciplinary space for the newly merged Schools of Music and Visual Arts. The former Greyhound bus depot, located directly across University Avenue from the Armouries, will receive a significant addition to become the new home of the film production program.